Cathinones are amphetamine analogues that produce stimulant effects with rewarding properties. For many decades, synthetic cathinones have been used in the United States (USA) for abuse purposes, leading to concern about public safety by the federal government. Under the Controlled Substances Act (CSA), the federal government may place drugs with high abuse potential but no currently accepted medical use into Schedule I of the CSA. The process of scheduling an abusable drug involves both the Department of Health and Human Services (HHS), through the Food and Drug Administration (FDA) and the National Institute on Drug Abuse (NIDA), and the Department of Justice, through the Drug Enforcement Administration (DEA). This paper details how numerous synthetic cathinones were placed under CSA control between 1973 and 2018, with an emphasis on 10 cathinones that were placed into Schedule I in 2017 (butylone, naphyrone, pentylone, pentedrone, 3-fluoro-N-methylcathinone (FMC), 4-FMC, 4-methyl-N-ethylcathinone, 4-methyl-pyrrolidinopropiophenone, alpha-pyrrolidinobutiophenone, and α-pyrrolidinopentiophenone). A summary is provided of the scientific and medical analysis performed by HHS, in the form of an Eight-Factor Analysis (8FA), as prescribed by the CSA. This 8FA was then evaluated and signed by the Assistant Secretary for Health at HHS and transmitted to DEA, which permanently placed the 10 cathinones into Schedule I after public notices were published into the Federal Register. Understanding the scientific data, analysis, and complex process utilized by the US federal government in the CSA scheduling of cathinones with abuse potential and no accepted medical use is important for transparency in governmental decision-making. Tyler Dalton is a former staff member. 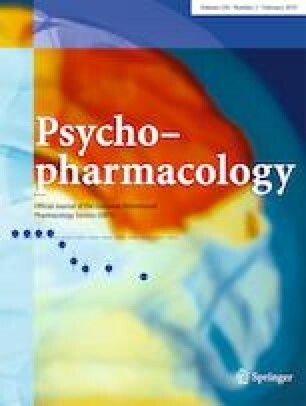 The authors thank James Hunter of the Controlled Substance Staff at the Food and Drug Administration for expertise on international drug scheduling issues. This paper reflects the views of the authors and does not necessarily represent those of FDA.